We all think we know how to market our listing but sometimes a refresher of a few items will help, and it can also be an opportunity to try new things. Don’t know how…learn it on YouTube. Here are the top real estate listing marketing ideas and how to get the best price for the least amount of days on the market. Let’s face it, price is one of the biggest factors to getting your listing sold quickly. Price it in the correct range for the quality of the house. If you’re going to price it above all other comparable listings make sure it will appraise for that price. 2. Set the Stage by Staging it! If it’s empty, then stage it, if the seller is still living in the home then ask to help clean-up the clutter. Professional stagers can work wonders with even the least appealing of houses. Possibly refresh the house with new paint and carpet? Use a lot of keywords that other agents would use to find this home. Key words or groups of key words (Long tail keywords) help with search engine optimization and will boost the exposure for your listing. Photos say a thousand words. Professional pictures of the front, back and every room, yards, scenic views in the neighborhood; anything at all to make the home more appealing. If the price is a little higher than the competition the pictures should show why. Getting a prospective buyer/lead is the first goal. An address specific website for a high-end home really shows what you’re doing and improves your search engine optimization for marketing your listing. The popularity of Facebook almost requires you to Post on Facebook because of the reach, don’t forget to boost your post before an open house by spending $10-$20 a day. Real estate listing marketing idea: Use hash tags to hit a larger audience. Consider changing your Profile Image to the image of the house with Open House information, that way people are notified of your change. Suggest your friends to “Like” your marketing listing. For Top Ten Realtor Facebook Tip click here. Post pictures and a video on Instagram to your friends in the best location of the house. Use a very a short description. This should be most of your business connections so get a few thousand connections that really count and market yourself as the go-to Agent and market all your properties. Update your company profile with a professional description to make you and your listing stand out. For more information on LinkedIn Profile Optimizing Tricks click here. Consider a sign-in sheet and invite the neighbors. Do an evening open house with wine and cheese; everyone is in a better mood when the environment is festive. Stay open later just don’t do the minimal Sunday from 1-4, maybe to 6pm. One of the top marketing listing idea is the old-fashioned email marketing is the most cost-effective marketing to reach your audience. You must dedicate an hour or two a month to update your contacts and maintain your Customer Relationship Management (CRM). Send out at least one email a month about yourself, the local market, your brokerage and your listings. Master the “Subject Line” it like the cover of the book, if its not interesting it won’t be opened. What’s your 30 second pitch? Literally, if you were in an elevator going to the 20th floor, what would you say to the other person that just said they were moving to your marketing territory? 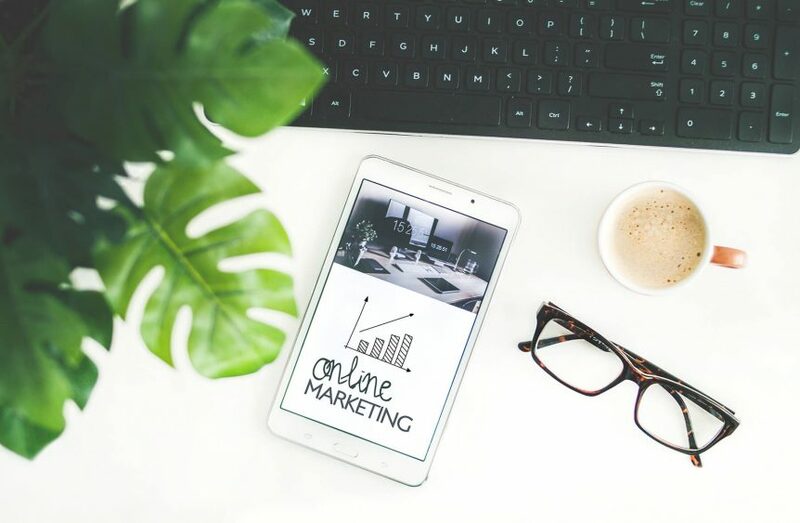 One of the top real estate listing marketing idea is the old-fashioned email marketing is the most cost-effective marketing to reach your audience. You must dedicate an hour or two a month to update your contacts and maintain your Customer Relationship Management (CRM). Send out at least one email a month about yourself, the local market, your brokerage and your listings. Master the “Subject Line” it like the cover of the book, if its not interesting it won’t be opened. The same email marketing database (CRM) solution your using should also include mailing addresses to mail out postcards or flyers. If you have a team add their full profile to yours, and make sure to add the properties they sell to your page to boost your portfolio even further. Review Building the Best Referral Base article click here. “Vacation Beach House” – These key words can be purchase for a city or county. You can upload your contacts in Google as an Audience and market targeted ads to them. The audience needs to be 5,000+ or more and Google will suggest similar lists that you can add. The ads can be placed in Gmail accounts at the top of prospects emails and other locations. Make sure to add “Negative Key Words” so that you are not marketing to everyone and wasting your budget. Google support is available anytime and it’s a free resource so click on the large (?) at the top right-hand corner and call them with questions. For a full ad on Google Adwords add the extensions for free to link to different tabs of your website. Useful extensions would be to Listings, About Us, Resources, Contact Us, etc. Create a Yelp account and maintain it so it shows your current address, phone number, website and pictures. Request past customers, associates and business partners to give you 5 stars along with some useful commentary. This will help in your search engine marketing (SEO), not many real estate agents are focused on SEO but when you have the right profiles on social media accounts it really takes off. If you have some listing marketing expenses that you need covered you may want to consider a commission advance. An advance for a transaction that is in escrow is the most cost effective. This is a quick and easy way to get part of your commissions early and get a portion of your commissions upfront. Commission advances can be done for residential and commercial properties. For more information on Commission Advance Tips click here. When you google your name or company name and you don’t show up on the top then you need to work on your internet profile. Make sure your social media profiles are all consistent with the same profile picture, phone number, website links and branding message. Real Estate Listing Marketing Idea: Once its listed in interesting statistic is the “Competition for this Home” which will show you the number of views in the last 30 days and the “Shoppers Saved” which means the number of individuals saved this home as a favorite in the last 30 days. For more Zillow Tips & Tricks click here and here. If you’re not technically savvy then hire an assistant or a marketing consultant because being a professional also means showing you’re a professional on-line. If you’re not in front of your prospects then another realtor will be! Having available cash flow to market your listing in the most professional and aggressive manner may require to have part of your commission early via a commission advance. For more information about commission advances please check out Express Cash Flow or click here.